Dr. Yüksel is Professor Emeritus of Psychiatry and former Director of the Psychosocial Trauma Program at the School of Medicine, University of Istanbul. She is also a founding member of the European Society for Traumatic Stress Studies. Her clinical work and research have spanned the treatment of sexual and physical violence survivors, torture survivors, mass violence survivors and transgender persons and their families. 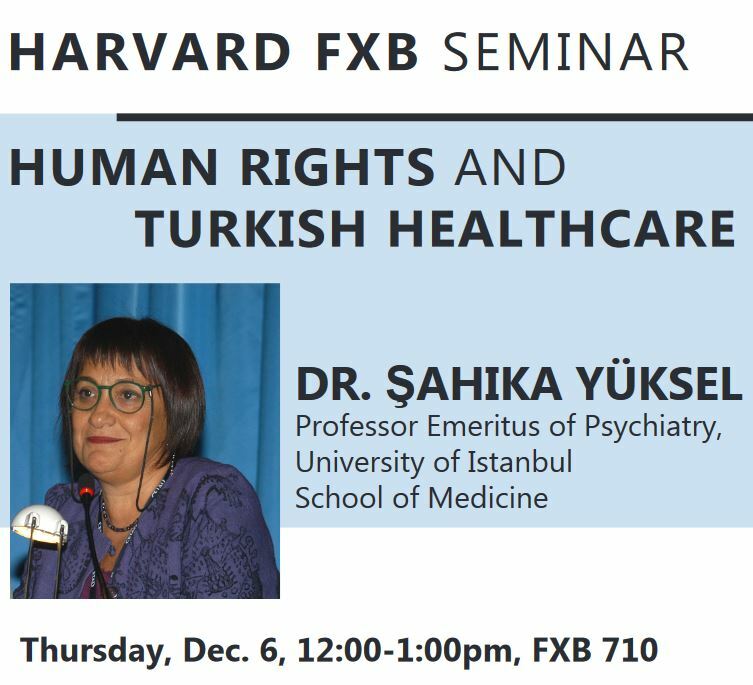 In this presentation, Dr. Yüksel will discuss human rights violations in the field of healthcare in Turkey. Many democratic mass organizations and NGOs are struggling with these violations. The Turkish Medical Association, the Human Rights Foundation of Turkey, Academicians of Peace and a range of other organizations are collaborating to provide legal, physical and pyschosocial support to the many constituencies facing human rights violations.